Happy Post-Christmas + Places to be Found! I hope yours was warm and comfy! I've been getting festive all over the place (except here -- sorry whoops)! What places, you ask? I'm going to be posting more design-type stuff here! Usually I just think of drawing stuff when posting online outside of my actual (needs-to-be-updated-badly) portfolio. Of course, I don't want to give the impression that that's all I do (especially since I'm doing design stuff more often). 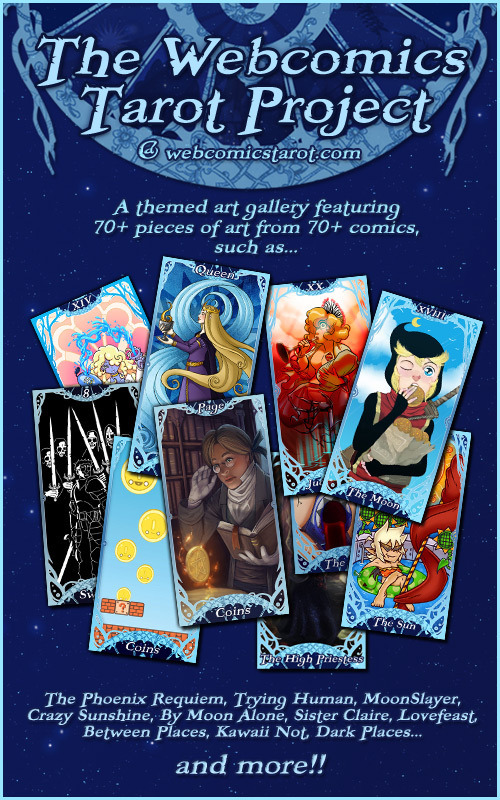 I manage the Webcomics Tarot Project! 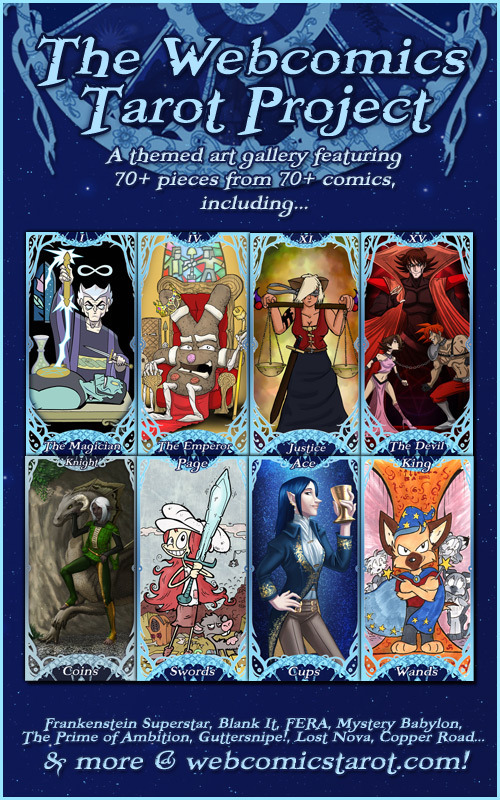 It's a themed art gallery for webcomic creators, by webcomic creators! And it's super-fun! It recently opened up to more people, so if you're interested, please send in an application! But there are some rules -- and this time around I am enforcing a greater degree of scrutiny than previously -- so I'd recommend giving those and the FAQs a good once-over. Today, the project updated with The Sun from Crazy Sunshine. I'm looking forward to what else comes our way! First Shirt Design Up for Voting! "Crying" is on Threadless's scoreboard! Here's the demo I uploaded here! And here's the link for scoring! It's going to be up for a week of scoring! Please score it as you like! (If "as you like" is 5, with a little $ notification on the side ) Comment, too, if you're keen on it. I sure would appreciate it! I moved here from senshuu! At some point, one must shed a not-well-thought-out, 14-year-old name. Really, that's the only reason I started a new account, but this fresh start business really does feel good! Feel free to call me "Milu"! I'll be posting more later. Gotta round this place out. I've got an ID to finish. Also, I may be posting something else rather interesting later tonight, so...look out! Dec 26, 2012 Happy Post-Christmas + Places to be Found! Aug 9, 2012 Webcomics Tarot! Another Go! Nov 29, 2011 First Shirt Design Up for Voting!